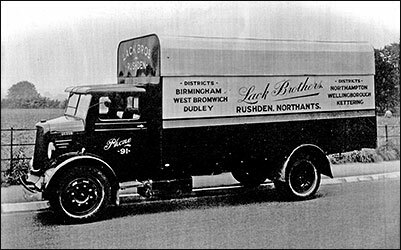 Rushden Research Group: Lack Bros.
and trust the public will continue to favour us with their generous support. 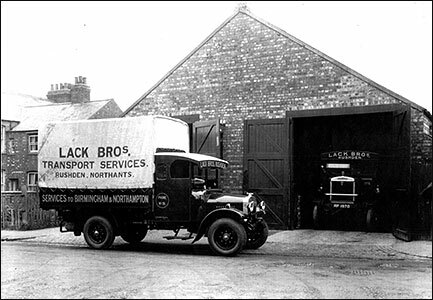 Lack Brothers started their carrying business around the end of WWI at 62 Moor Road, and by 1921 were confident enough to take over the established business of Clark & Co. who were trading from 68 Higham Road. 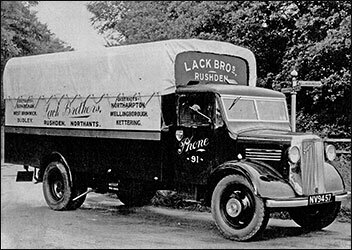 By WWII they had opened an office and garage in Sartoris Road. 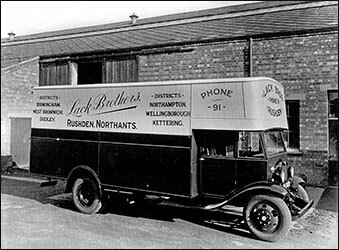 After the war transport services were nationalised. 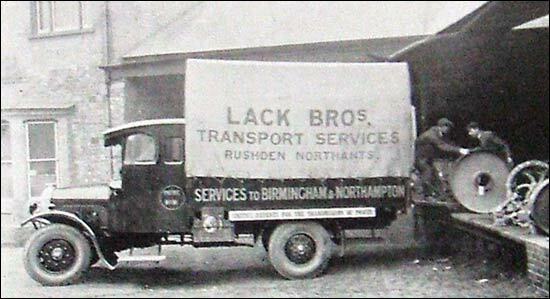 A lorry collecting goods, shows the service was to Birmingham and Northampton daily. Now is the season for nuts and filberts. A little heat will be required in the conservatory, and things should be forced gently.